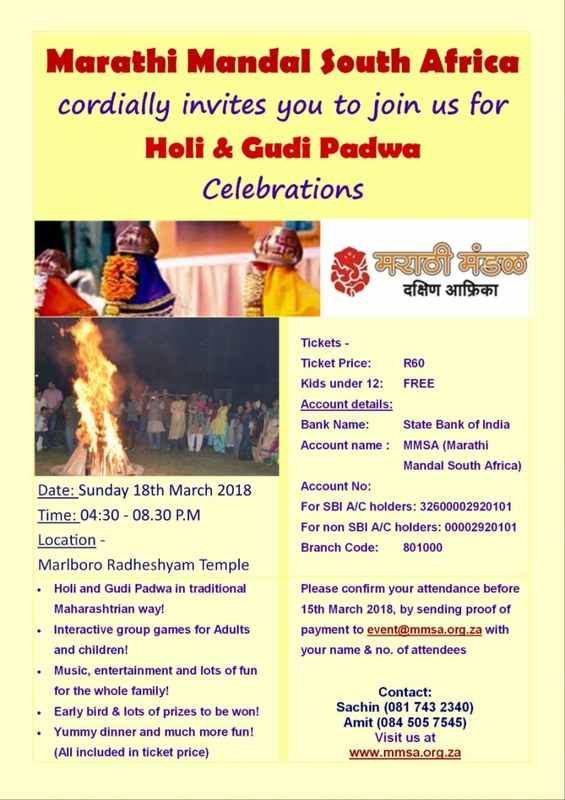 Holi And Gudi Padwa Celebrations. Holi And Gudi Padwa in traditional Maharashtrian Way! Interactive group games for Adults and Children! Music, entertainment and lots of fun for the Whole family! Early bird & lots of prizes to be Won!